The hammock is arguably one of the most comfortable beds you can lie on. They’re perfect for relaxing by the beach; on your terrace; as an alternative to a tent and sleeping bag during hikes; or even as a fully functional bed at home! That is if you tie and hang it correctly. It may take some practice and some getting used to, but once you master how to tie a hammock, you’ll be off to dreamland very soon. Hammocks are far from being modern innovations. In fact, people in ancient and primitive cultures use the hammock as their primary sleeping surface. 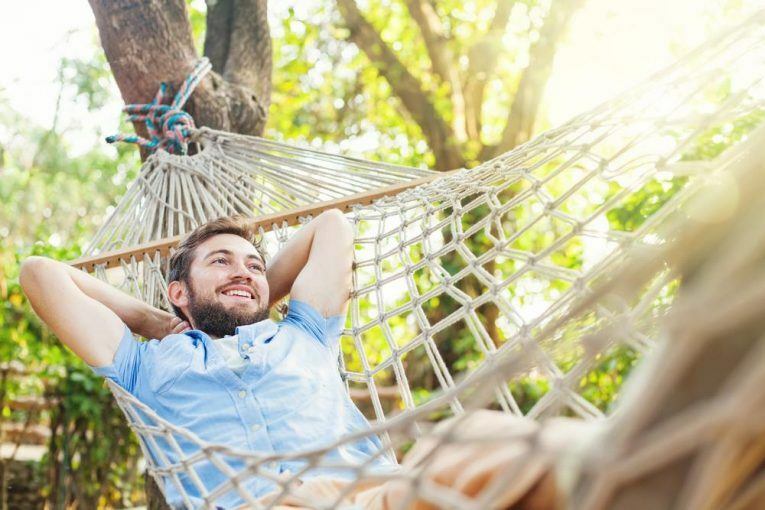 Portable, lightweight, ventilated, healthy for your back, and extremely comfortable, it’s no wonder many today swear by the importance of the hammock. Ultimately, you’ll only enjoy a hammock if you hang and tie it properly. However, it’ll be worth the time and practice. 1. Find the sturdy support. 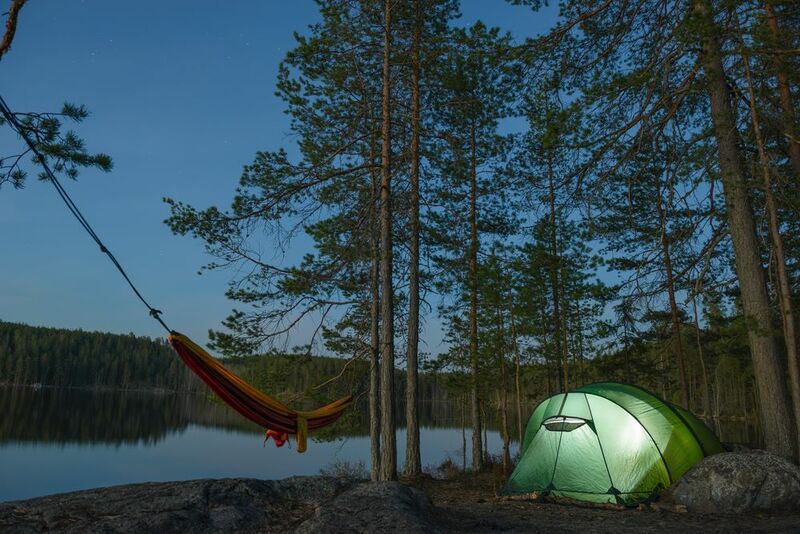 So, with the promise of a deep and restful sleep, what will you need to prepare your hammock? This goes without saying. You’ll need to hang your hammock on something, and the key word here is sturdy. 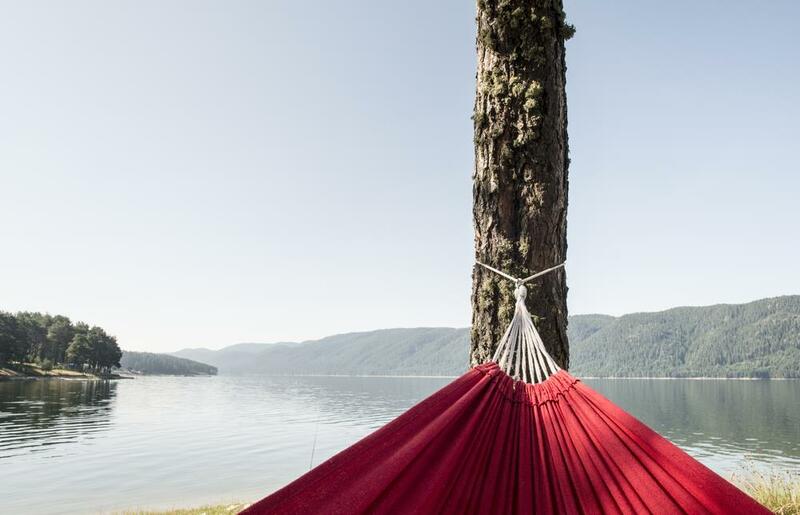 A sturdy support may mean a tree, a post, an installed hook, an overhead beam, a hammock stand, or a combination of these – One end of your hammock suspended from a tree and the other on a hook, for example. Remember, this support system will carry your entire weight as well as the hammock’s. 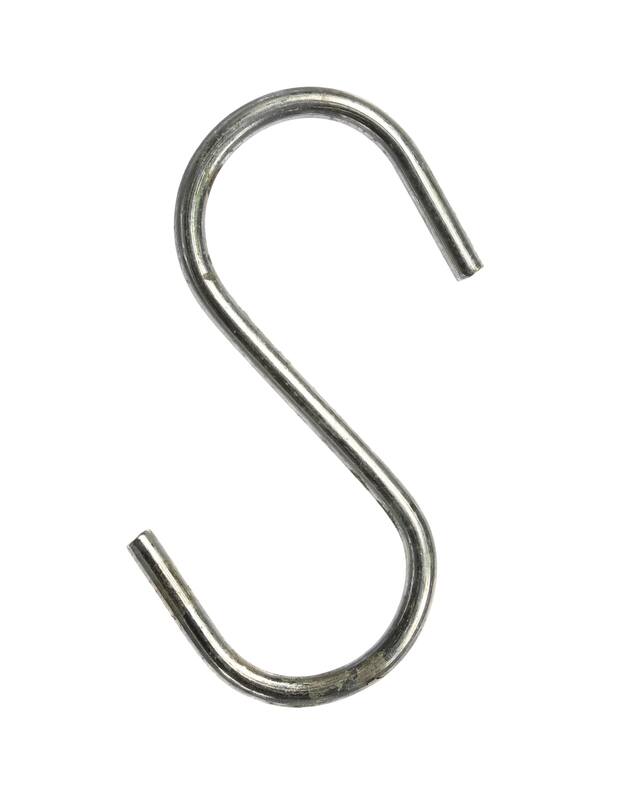 You may have a high-tech 5000lb-ready hammock, but if you hang this on a weak beam or dying tree, then you’re in for some pain. Yes, this goes without saying as well. There are, however, different types of the hammock on the market. It would be wise to consider their differences especially if you don’t already have one. 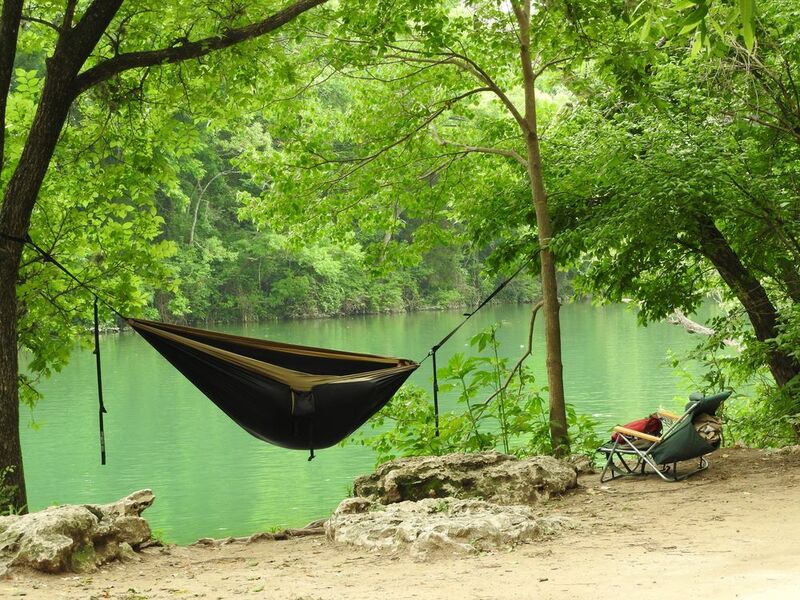 The classic hammock is where it all began. Most of these are cotton or nylon are woven or braided like a net. Classic hammocks are the lightest and the most ventilated of all hammocks. Hence they are perfect for beaches or tropical and arid climates. A variation of the traditional hammock is the Mayan hammock which has thinner, springier, and often colorful string. Another variation is the Brazilian hammock which features a fabric bed instead of a woven web. In any case, these hammocks usually have a loop at both ends from which you may hang them or hitch with rope. These loops may be woven rope or metal rings. As the name implies, camping hammocks are the hammocks of choice for campers, travelers, and backpackers. This kind of hammocks has poly﻿este﻿r or nylon fabric. 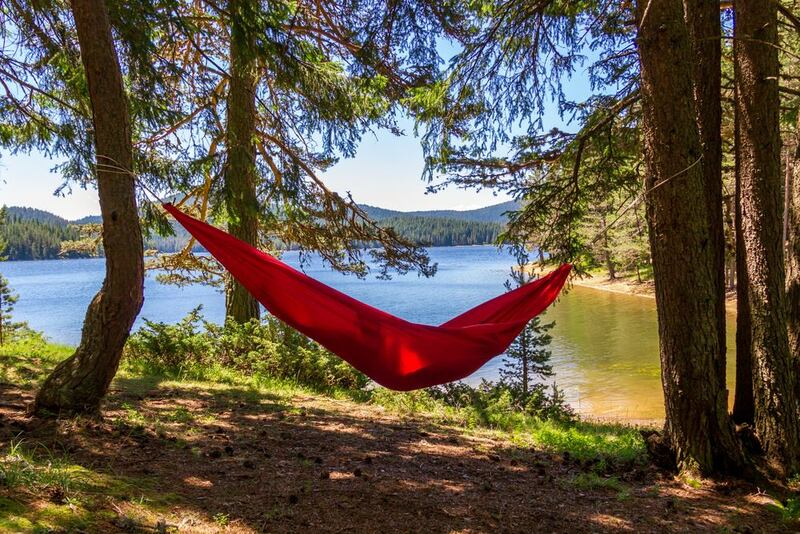 Manufacturers design these hammocks to be as light and as packable as possible but without sacrificing strength and comfort. Although some camping hammocks may utilize metal rings, most of them feature carabiners for you to fasten or secure with ropes or straps. The spreader-bar hammocks are probably the most popular of the hammocks. These type of hammock design feature a spreader-bar at both ends, so the entirety of the hammock bed is kept taut. Ironically, instead of improving comfort, hammocks with spreader bars are not as comfortable as other hammocks and are even prone to flipping. Avoid these hammocks If possible. However, if you have this kind of hammock, you’ll notice that they usually have this same kind of loops at both ends like classic hammocks. Others come with metal rings both for the hammock and for the straps so all the needs doing is securing them together with S-hook. A Strong rope is essential for most hammocks since this is the primary tool for fastening and hanging your hammock. Have at least two sets of rope, each about 9-10 feet long. Therefore, no matter how high or far apart the supports are from each other, you’ll have enough rope to fasten your hammock on both sides. 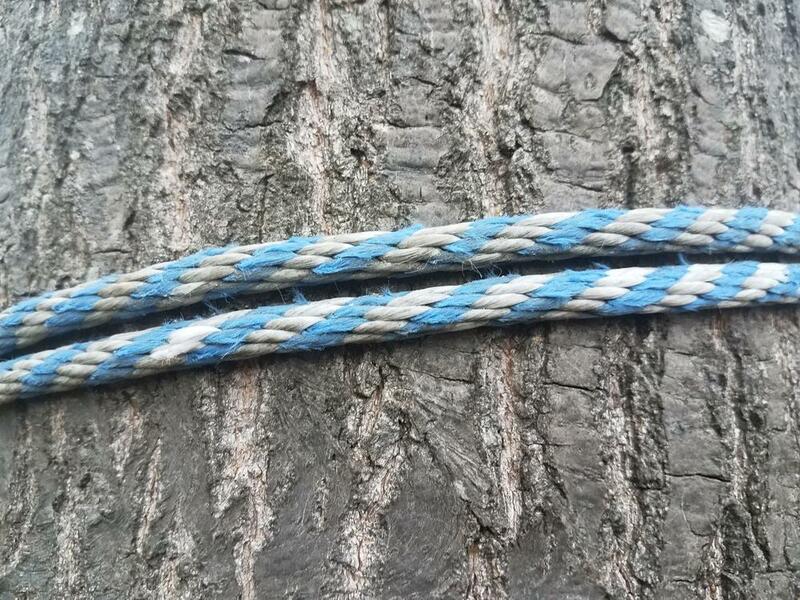 An alternative to the rope (and healthier option for trees) are webbing straps. These are particularly useful for beginners as well as keeping trees from being damaged by rope friction and tightening. Once you determine and have everything above, it’s time to choose your hanging method, or how you’ll be tying and fastening your hammock. Your choices are simple. First, you may use purely rope, and with the right knots, you’ll securely tie your hammock. A second and probably easier choice are webbing straps. 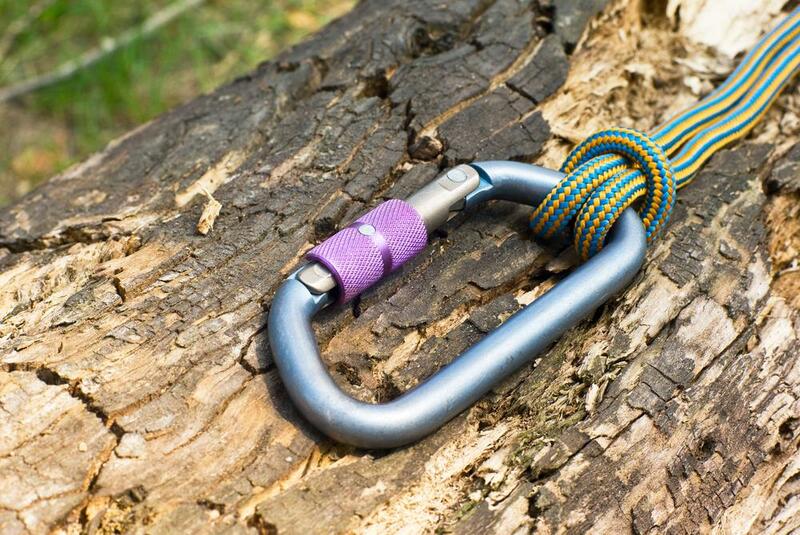 Of course, you may use a combination of these two with the addition of carabiners or metal rings. 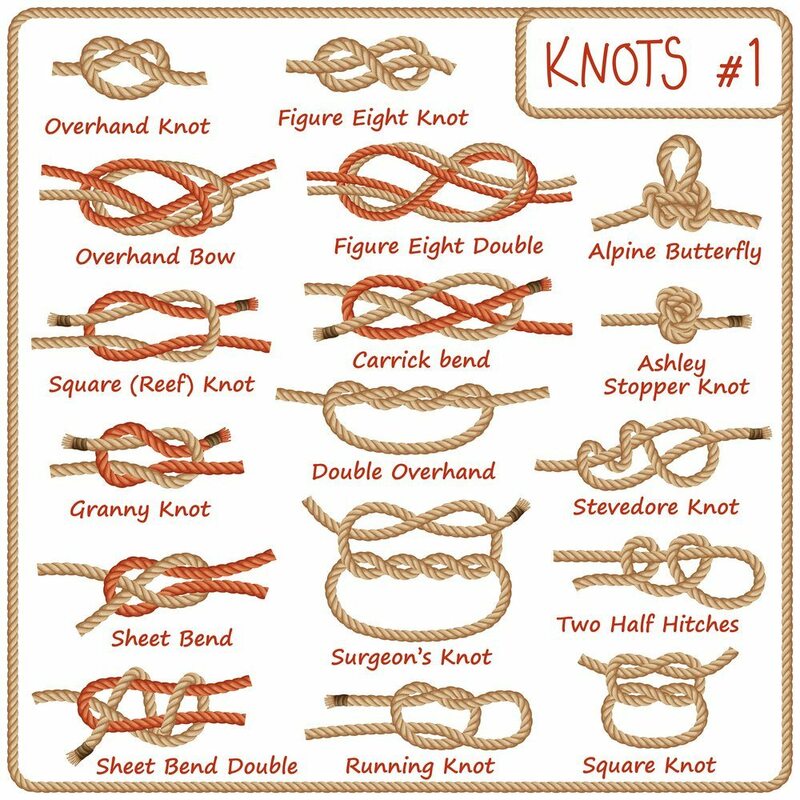 In any case, it’s important that you know some basic knots. 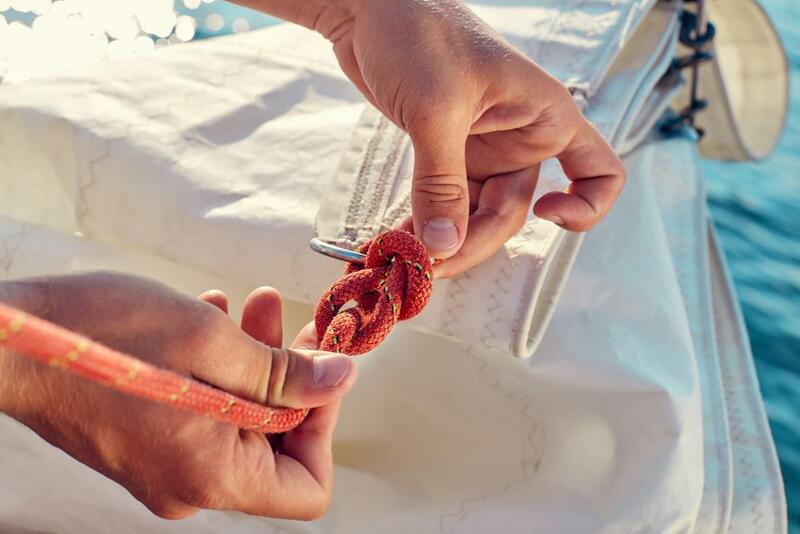 There are over a thousand knots that you can employ, but for simplicity, we’ll try only two – the bowline, and the midshipman’s. 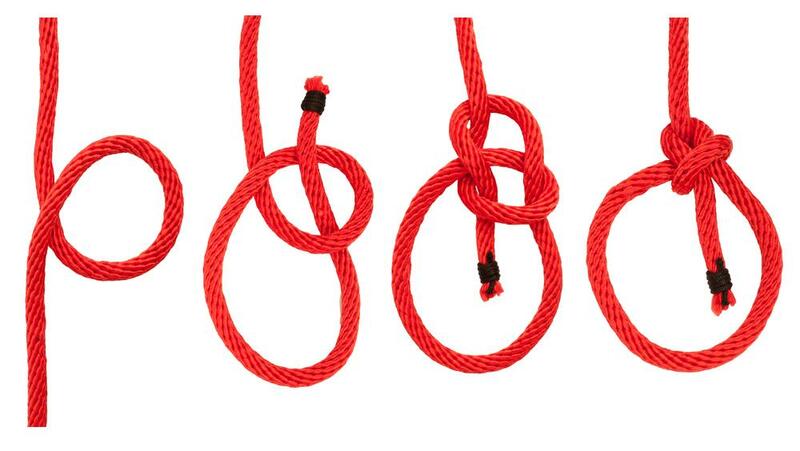 The bowline and the midshipman’s knots are two basic knots, yet they are incredibly versatile. 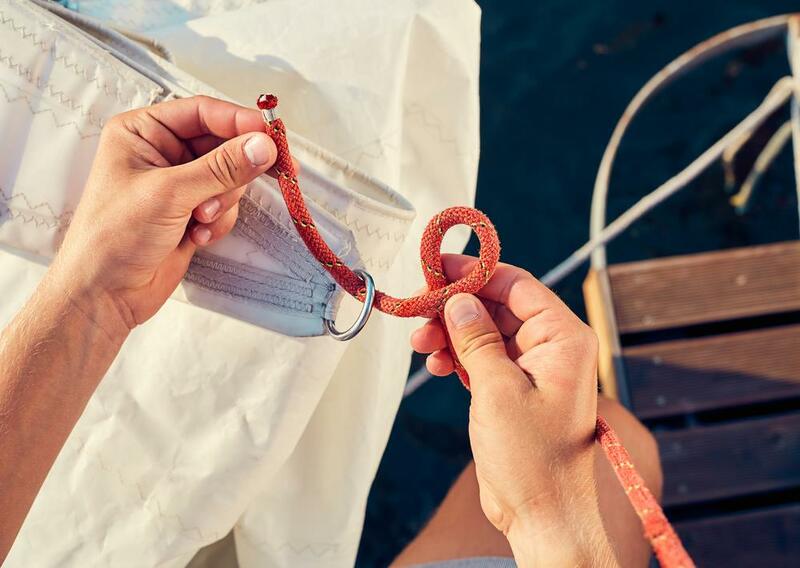 In fact, you could use the bowline for almost everything that needs fastening! 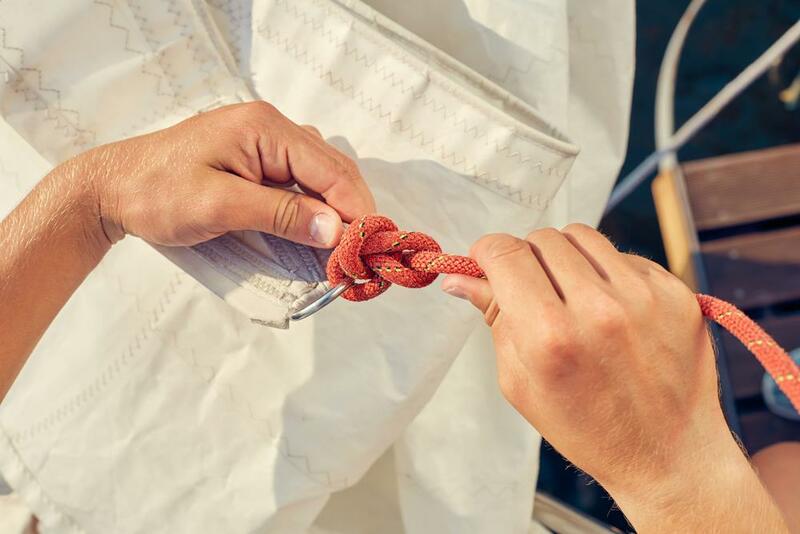 The bowline knot carries the title “King of knots” as it is strong, easy to do, reliable, versatile, and quickly undone. Hence, it is a favorite of scouts, campers, and sailors (and us too!). 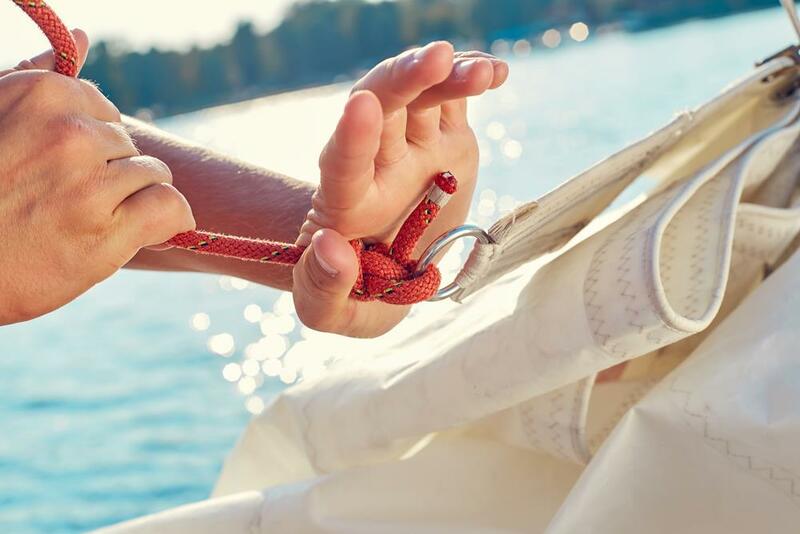 Remember though the bowline will loosen if unloaded. However, it will hold securely when under tension. 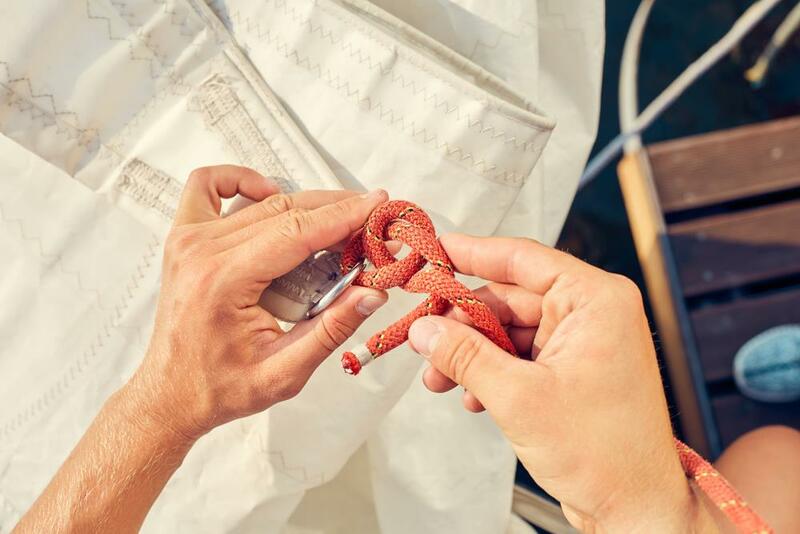 Another reliable knot is the Midshipman’s Hitch or Taut-Line Hitch. 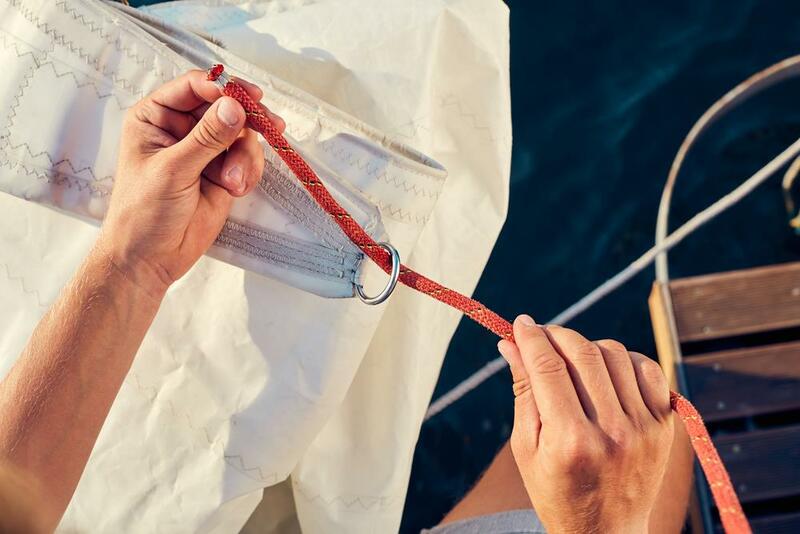 Like the bowline, the taut line securely fastens when tightened with the addition of being adjustable. Hence you could slide the loop up or down the tree or post if needed. 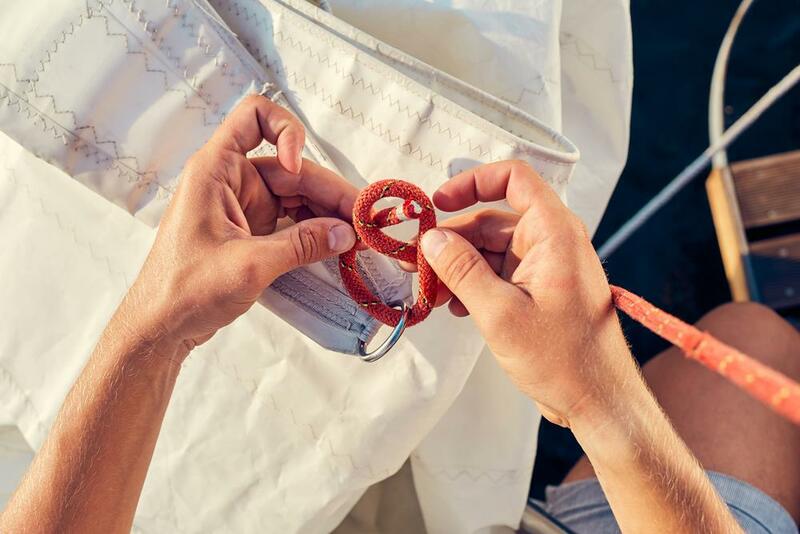 Once you master the knots and gather everything you need, it’s time to tie your hammock. Take a look at the steps below. Again, the key here is a sturdy tree or post or beam from which you will suspend your hammock. This may take some trial-and-error at first, but you’ll eventually get the hang of it. A good rule of thumb is securing one end of the hammock at eye level, then making adjustments from there. Another rule is to keep the center of the hammock bed sagging at just the right height. This height is subjective for each, but an excellent guide is chair height or just enough sag that your feet will reach the ground when you sit in the center of the hammock. Wrap your rope (double-over) or straps around your chosen tree or beam. 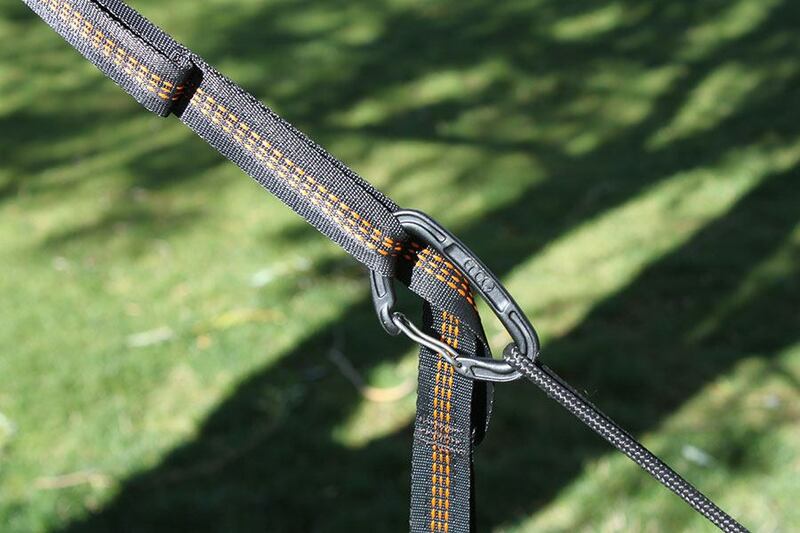 Do this at least twice if the length of your rope or straps will allow. Pull working end through the loop. If you’re using wraps, it may simply need to be attached to the hanging eye of the hammock via carabiner or s-hook. Otherwise, you will need knots to fasten the hammock. Let’s practice those knots. 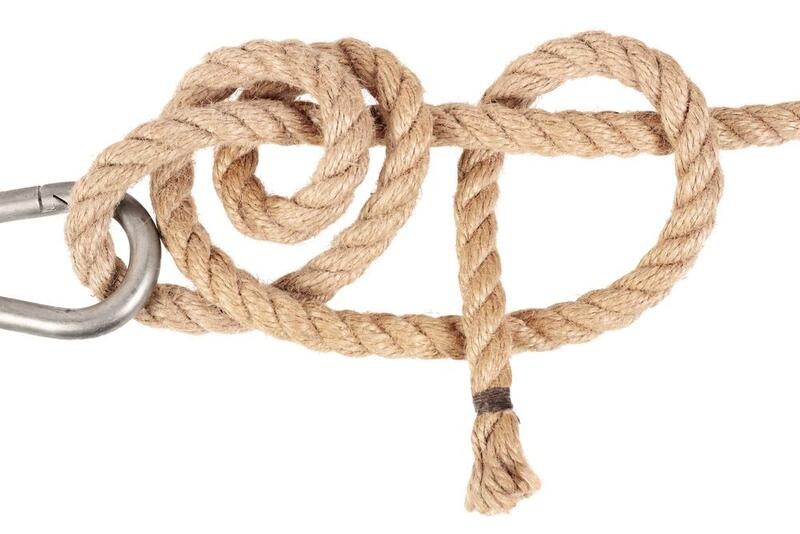 Again, for simplicity, let’s use the bowline knot for both ends. 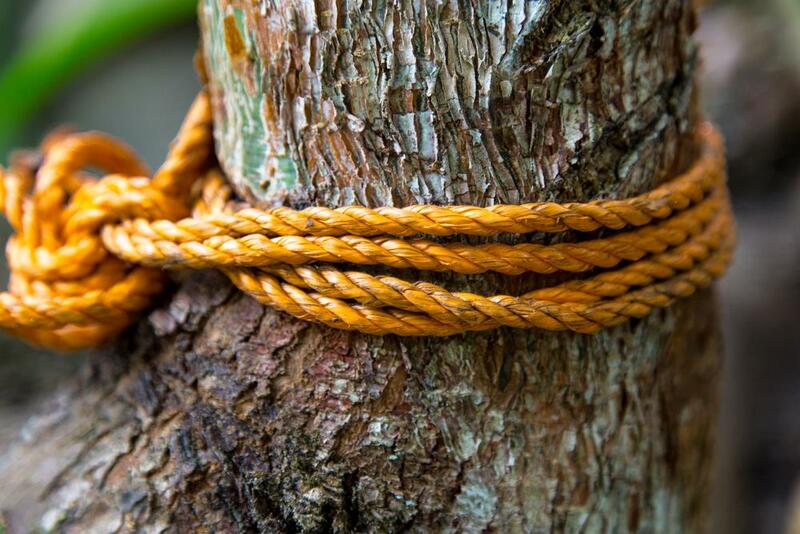 These principles will work in the same way for a tree or post, but instead of knitting the knot around a loop, you would tie it around a tree. All hammocks need a measure of sag for optimum comfort, so make your height adjustments as you may require. Also, make sure to fasten both ends. 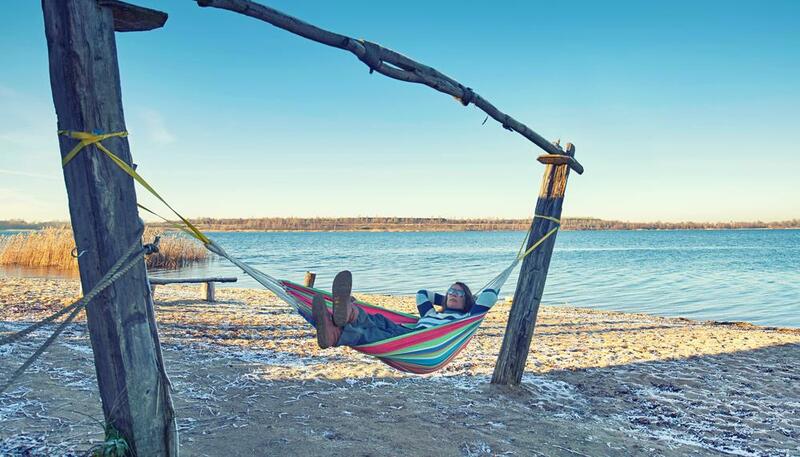 With enough practice, you can tie a hammock in under 5 minutes! Now you’ll be able to put your feet up and relax. Enjoy that view, maybe even sip a beer, or two. Do you know other ways to tie a hammock? Let us know!